Chelsea face Liverpool in the Premier League this Sunday with Champions League qualification the prize on offer. Jurgen Klopp’s potent Reds need just a draw to make sure they’ll be involved in Europe’s leading competition next season, but only a win will do for the Blues to keep their long-shot top four bid alive. Throw in the bizarre non-geographical rivalry between these two teams, the backdrop of Liverpool’s Champions League final with Real Madrid and Mohamed Salah returning to the club that deemed him surplus to requirements, and this weekend’s clash looks set to be an intriguing encounter laced with subplots and ulterior motives. So, how will this one pan out? 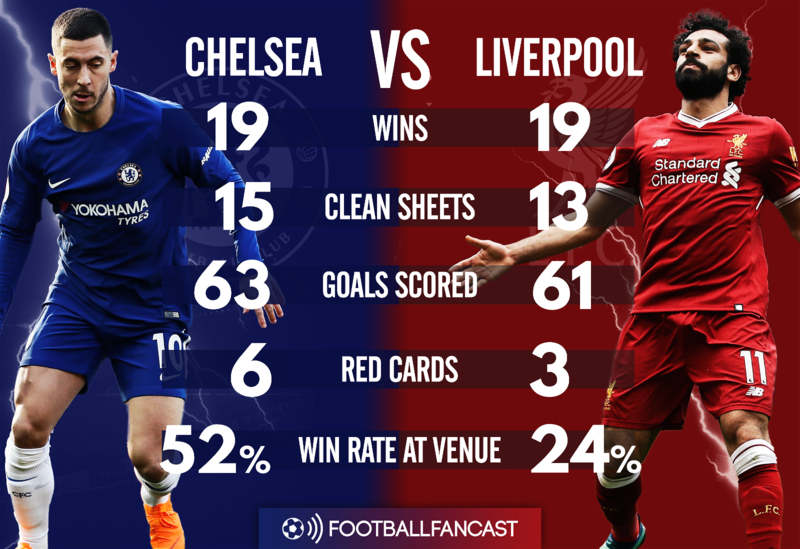 This week’s experts, Football League World’s Liverpool-mad George Dagless and Chelsea FanCast’s David Chidgey, share their thoughts and predictions ahead of the 4.30pm kickoff. The Champions League final in Kiev isn’t for another fortnight, but Klopp will be painfully aware of how an injury to a key player would significantly hamper Liverpool’s chances of beating the European champions, especially considering the Reds’ squad depth – particularly up front – isn’t the strongest. On the other hand, missing out on the top four at this point in the season would be catastrophic for the Merseysiders and they haven’t mathematically clinched a place in it just yet. Do you expect to see some rotation this weekend? Who would you like to come into the side? Perhaps Antonio Conte’s biggest head-scratcher for Liverpool’s visit, meanwhile, centres around formations and who should start up front. 3-4-3 remains Chelsea’s primary game-plan but the Italian modified it to a 3-5-2 last time out against Swansea City, with Eden Hazard playing just off the centre-forward, and that system helped Chelsea clinch a point at Anfield in the reverse fixture earlier this season. Which formation is best suited to beating Liverpool? And who deserves the nod up front? From a Liverpool perspective, which striker would you feel more comfortable facing? Three of the last six meetings between Chelsea and Liverpool have ended in a 1-1 draw, including this season’s meeting at Anfield. Conte will feel his side got the better of the Reds that day, with Hazard playing a starring role as Chelsea’s driving force on the counter-attack, even if the scores did eventually end level. What needs to be learned from that 1-1 draw to stop Chelsea going one better at home? Perhaps the most curious subplot heading into Sunday’s game is Mohamed Salah’s return to Stamford Bridge. Out of favour at Chelsea, the Egyptian forward left for Serie A and transformed into a superstar, earning a big-money move back to the Premier League with the Reds last summer. The Salah we see now, just a few goals shy of Ian Rush’s record, is almost incomparable to the young, patchy winger who failed to make his mark with Chelsea. 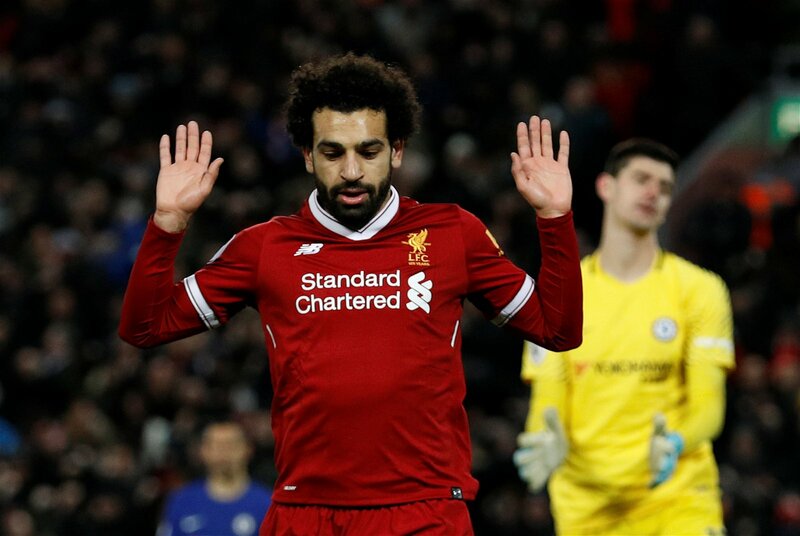 How do Chelsea fans feel about Salah’s incredible form this term? Is there any resentment, envy or bemusement? Which key battle will decide this game? David: “Given Liverpool’s potent attacking threat, Chelsea’s defence and midfield needs to be at the top of their game. It will be interesting to see if Conte selects Emerson Palmieri ahead of Marcos Alonso who will be available after suspension. Although Alonso has been one of our best players this season, Palmieri has impressed in his absence and looks a better defender and certainly has more pace. Both these attributes will be needed if we are to keep Salah quiet. George: “The battle between Giroud and our centre-halves is one key battle, as well as Sadio Mane and Salah getting in behind Chelsea’s wing-backs. 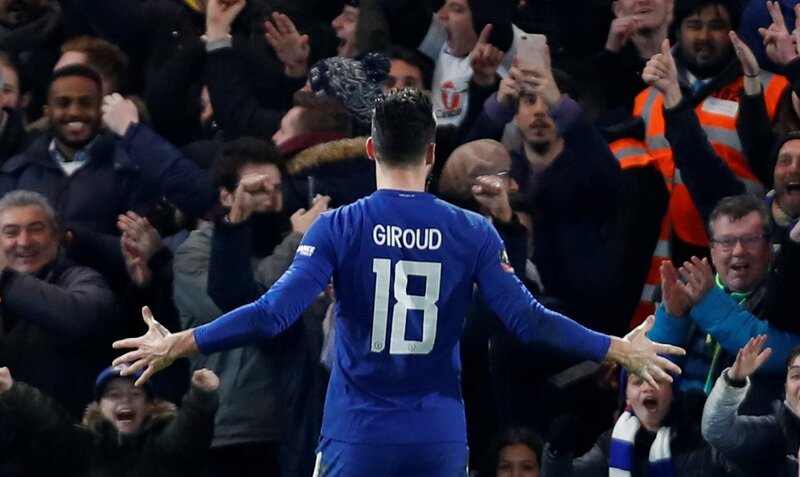 Giroud likes it up against us, I’ve already touched on that, and we’ve seen even this season the joy powerful strikers can get up against Lovren, despite the improved defence with van Dijk involved.